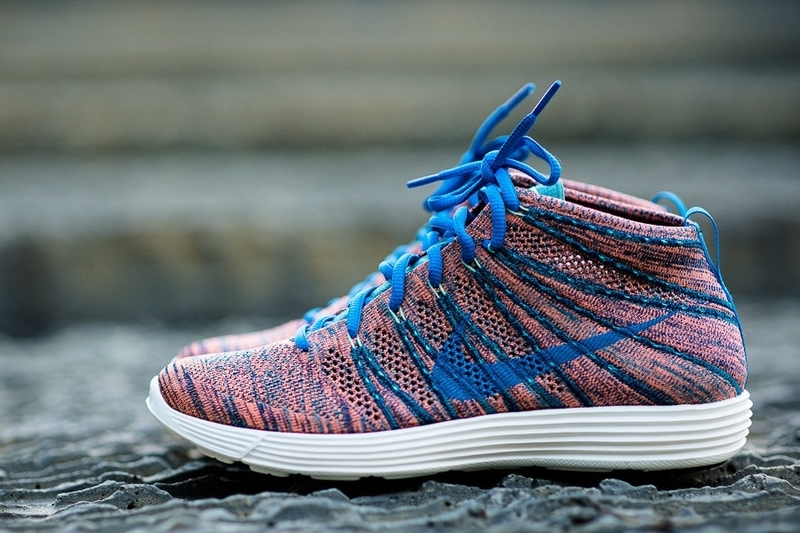 This month's selection of Flyknit Chukka styles also includes this Photo Blue/Mineral Teal color scheme. 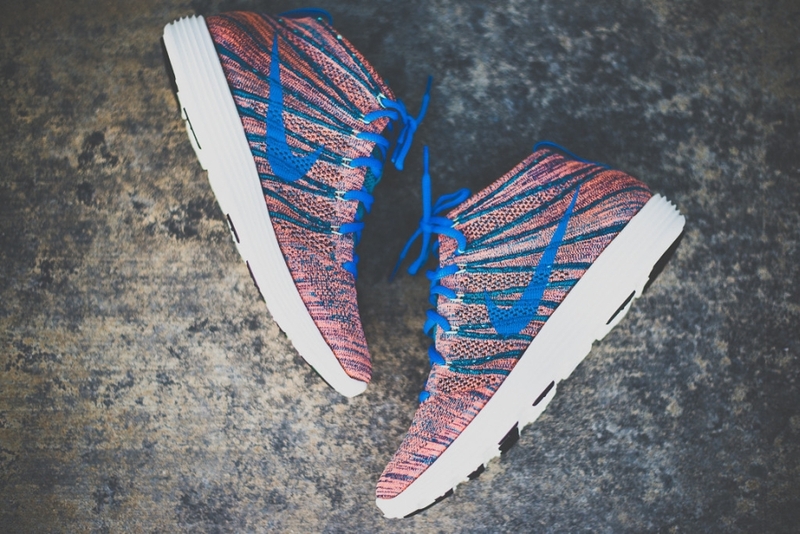 Currently hitting retailers nationwide, the dependable Flyknit Chukka arrives with a combination of Photo Blue and Mineral Teal covering their Flyknit upper. Green glow also comes into play over the Flywire eyelets, while a sail-covered Lunarlon sole sits down below. 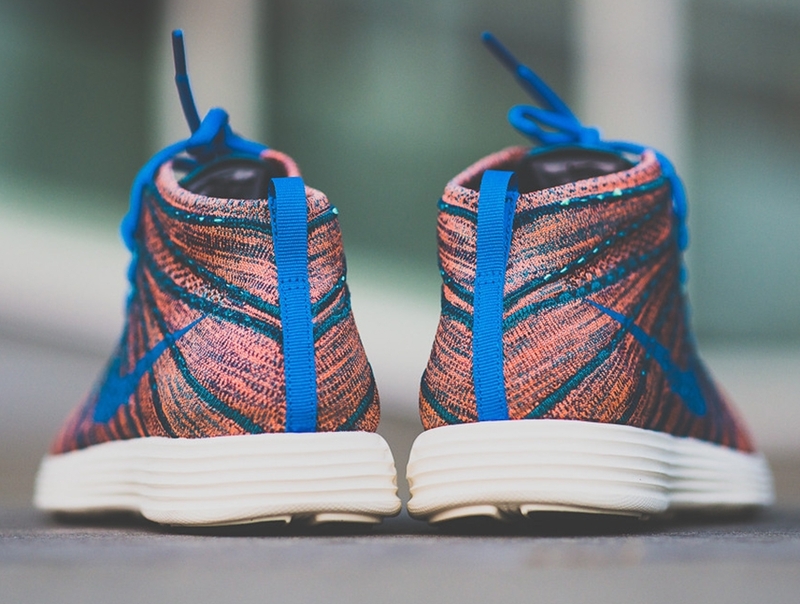 This month's latest release of the Flyknit Chukka is now up for grabs from Sneaker Politics.